COLOR ZEN QUAD is a sub series in the larger COLOR ZEN series, compositions based on my obsession with photographing the TV screen on analog film. COLOR ZEN QUAD is a set of four compositions created and designed to be displayed together as a quadtych. CZQ explores some of the same themes as COLOR ZEN GAZE, but with a less overt emphasis on subjects and a more deliberate nod to pure design aesthetics and electric color - technicolor collage of imperfect screens. The images in these compositions are close-up photos of the TV screen. The macro photos capture the scan lines, bright pulsating colors, and outlines of things familiar and not. These photos are cut into squares, then rearranged into mega-squares, and cut again with circles. The pieces are like TV programming, interchangeable with slight differences. 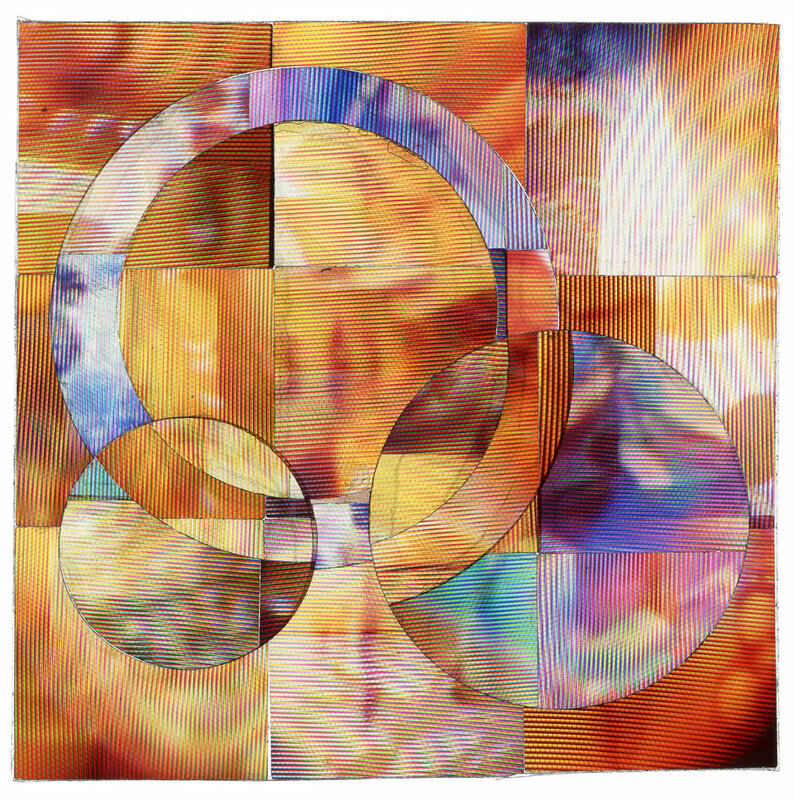 The pieces in COLOR ZEN #15-20 have a bilateral symmetry along with interchanged circular pieces that look quite elegant when placed in a quad formation, or even as a horizontal quadtych.